Well done to girls of Tempo against the best that Ulster had to offer in U12s at a development blitz at the Mid Ulster Sports Arena in Cookstown on Saturday 5th October. The girls played with passion and pride and had lots of fun against some very strong teams. Below is panel of girls that participated in the blitz. Tempo girls U12 have entered an Ulster Development Blitz this Sat 5th Oct in the Mid Ulster Sports Arena, Cookstown. 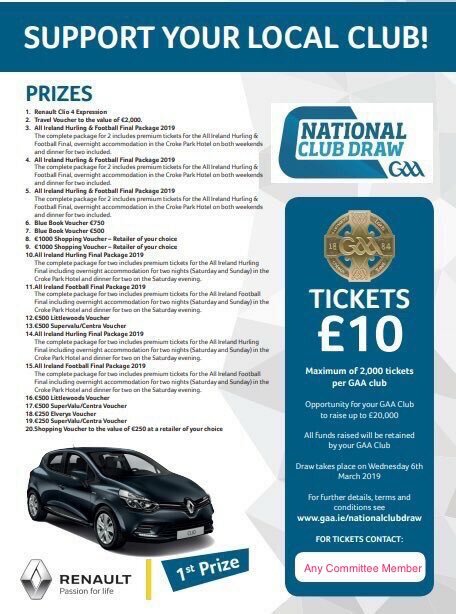 Blitz runs from 11.45am to approx 4pm. Games will be 7-aside. Leaving Tempo at 10.30am. Parents are encouraged to attend. The blitz will be played in a fun, non-competitive manner with the focus being on development. No scores will be kept and there will be no winners/losers. Training on Thursday evening at 6pm. 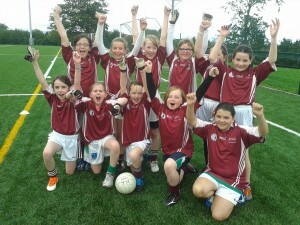 Girls U12 training tonight before the girls minor match. Training from 6pm to 6.40pm in Tempo. 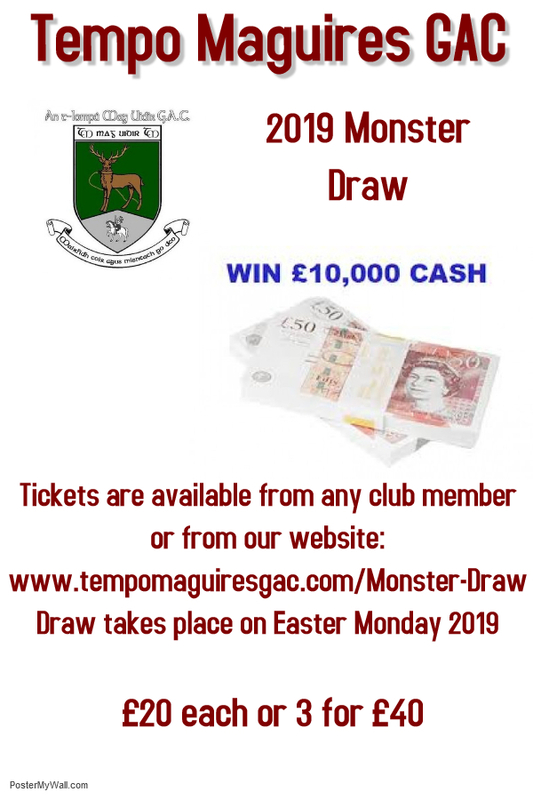 Minors play Erne Gaels at 6.45pm in Tempo. Mouthguards are mandatory for all youth players. 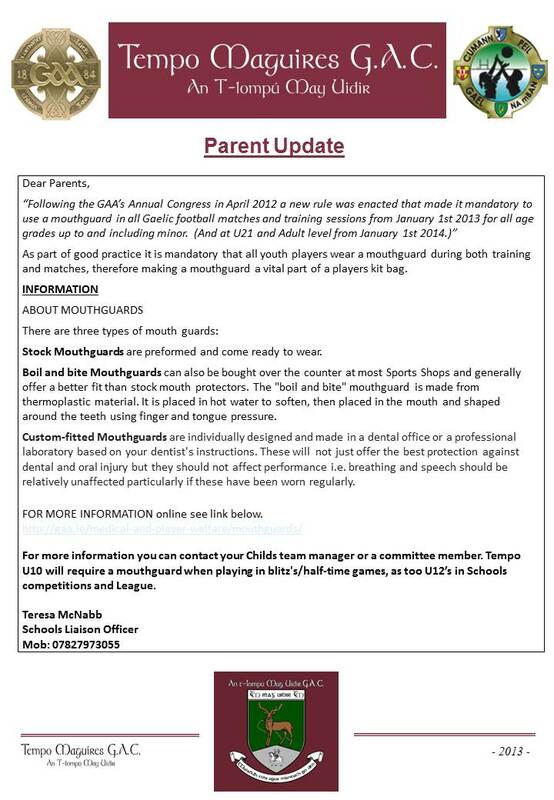 Failure to bring mouthguards to training or matches will automatically exclude from participation.